Sony's PlayStation chief, John Kodera, has hinted that the much-anticipated PS5 video game console could be a new portable PlayStation handheld. Kodera, who dramatically revealed last week that the next PlayStation system would not launch until 2021, was speaking to news site Bloomberg. He said that portable gaming is something that gamers very much seem to want - the success of Nintendo Switch and mobile games certainly seem to bear that out - and that it is something Sony is exploring. PS5: did Sony just confirm existence of PlayStation 5 games? Now the idea that Sony is still looking at a portable PlayStation system, despite the PS Vita's failure, makes perfect sense to us here at T3 for a couple of reasons. Firstly, rumours of a new 5G-equipped PSP have being flying for a while now. 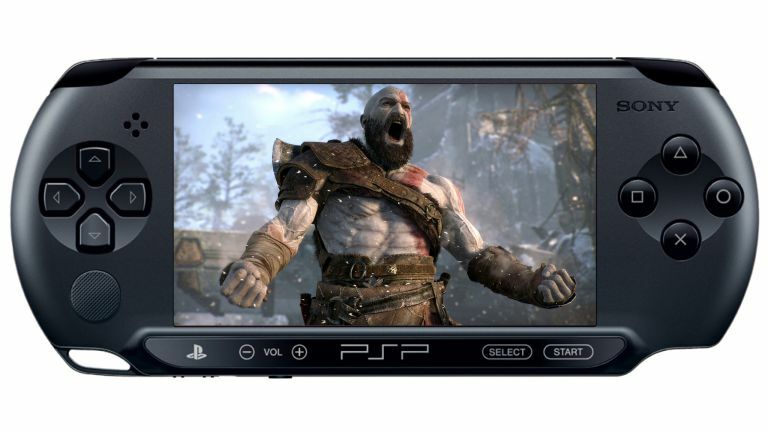 Sony's continued push into 5G and streaming technology, and continued support for PS Now support the idea of a connected, portable console to which games and movies can be both downloaded and streamed. Secondly, the entire gaming industry is currently moving towards a cross-platform, exclusive-free future model that leans heavily on cloud-based computing, so a system that unifies Sony's home and portable console in terms of platform also makes sense, increasing potential interoperability between the hybrid and Microsoft's Xbox Two. And, thirdly, the Nintendo Switch is absolutely tearing up the market right now, proving that a hybrid gaming system that allows gamers to play both at home and portably on the go is very much in demand. It is so much in demand that the Nintendo Switch is officially the fastest selling video game console ever. So for Sony to completely ignore that fact would be madness. Regardless of what Sony has planned for PlayStation gamers, be sure to stay up to date through T3's PS5 information hub, which is updated weekly.